CheapAir Takes a Flyer With Bitcoin, Litecoin and Dogecoin! Jeff Klee, CEO and owner of CheapAir.com, announced on September 3, 2014 that they would not only accept Bitcoin, but also Litecoin and Dogecoin as a method of payment. Proving to be a highly innovative company CheapAir started accepting Bitcoins in November 2013 for booking flights and later, on February 2014, for booking hotels. Now with the company’s recent expansion into other crypto currencies it seems that CheapAir is making a name in the Bitcoin economy. Jeff Klee says he wants to give their customers as many payment options as possible and attract the new ones. Klee also stated in an interview with Coindesk that Bitcoin users seem to be incredibly loyal. Though it’s not only about loyalty. The company’s sales have recently topped 1.5 million dollars by tapping into the Bitcoin economy. In fact, CheapAir comes second in Bitcoin revenue, just below the wholesale giant Overstock.com While this is merely a fraction of the company’s total gain, it is a step in the right direction to help Bitcoin become a more popular payment method. Jeff Klee is merely trying to help the Bitcoin economy, which he believes to be a very promising payment method for the future. He also helps teaching Bitcoin to public at CheapAir’s blog. CheapAir is a travel booking site specializing in cheap flights and good deals for hotels, cars and even cruises. The industry seems to be highly competitive, though CheapAir sets itself apart with accepting crypto currencies. It has helped the company not only tap into a new market, but also saved money on transaction fees. While a normal bank would charge 3% for the credit card payment, these fees can be avoided with Bitcoin. Because the company takes a small percentage of their revenue in Bitcoin, the money saved on transaction fees are very minor. 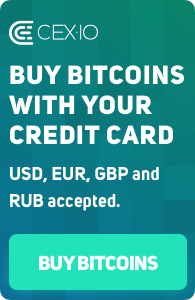 Have you tried Bitcoin payment at Cheap.Air? Please share your experience in comments!